Once upon a time I wrote a story about a wise man staring out to sea, whose vision brought followers to the shore in search of wisdom. One day his thoughts seemed to stall, mind emptied, as if what he knew was no longer valuable or pertinent. Frustrated and bereft, he felt that he had no purpose or future. Until one day a child invited him to stand up, stretch his limbs, and turn around. Seated again, in the same place, with the same view of the ocean horizon, he awakened to a new vision, an exhilarating prospect conceived with the same knowledge of his past views, but now again vital and useful for those who came to learn. This clumsy parable points to the dangers of consistency and complacency, of minds closed by routine and fear of change, and most importantly to renewal and re-invention oftentimes using the tools in hand to create new from old, an optimistic, forward-looking process that has characterized human progress for centuries. The complexity and cost of ocean research has demanded more efficient and economical research tools and the use of stationary or free-circulating data collection buoys which has become the heart of ocean data collection and observation. But these too, like their forbears — tethered submersibles and costly research vessels — have advanced to become remote underwater vehicles that can follow a programmed trajectory and research collection plan. Just recently, a new technology, geothermal energy generation, making electricity through the expansion and contraction of a non-toxic material generated by changing ocean temperature to charge and maintain batteries that propel the vehicle through its dives, upload its collected data via satellite to a station ashore, and broadcast its GPS location for recovery by ship when the mission is completed. Here we have a link between advanced data collection and novel sustainable energy generation that increases range, time at sea, immediacy of access, and efficiency of limited financial resources while decreasing cost, vulnerability to weather or exhausted fuel, problematic launch and recovery, and the need for difficult maintenance and replacement. This project is the result of collaboration between Cal Tech and NASA’s Jet Propulsion Laboratory, the technology licensed to a private company called Seatrek which is pursuing its further development and use. 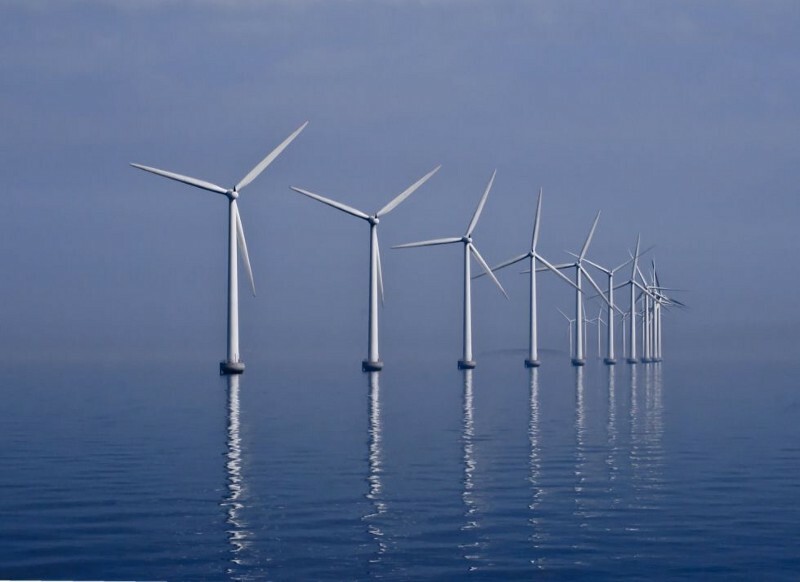 Many nations of the world have invested heavily and successfully in wind generated energy, fields of windmills often located in coastal and offshore areas where wind velocity and consistency is at its highest. The success of this technology, coupled to solar generation, has vastly increased the market share of alternative energy generation, with some countries reporting successive days of and sometimes 100% contribution to the national capacity requirements. At the same time, the world has realized a critical fresh water crisis that has challenged the stability and security of cities often located along the coast. In many such cases, in Australia, Israel, the Arabian nations, and even the United States, water managers have turned to desalination technology to augment diminishing supply. That crisis is estimated to increase and the demand for efficient desalination will only expand exponentially. The process is expensive, specifically because of the electrical demand to drive the pumps and equipment. Here again, suddenly, the technology link seems obvious – the connection between coastal wind power and coastal desalination plants in drought-stricken and/or urban areas, so many of which are located directly by the sea. The shift is already occurring. This project is being promoted by the Global Clean Water Desalination Alliance to many national and city governments and private companies and developers as a practical, innovative response to a desperate challenge. Think of what can come of this linkage: an entirely new system for emissions-free, non-fossil fuel-based energy for power to meet the universal public necessity for adequate fresh water needed to survive. Think of the future implication of fresh available water for drinking, bathing, and maintaining our homes and communities. As with my wise man, the answer is obvious, there before our very eyes, everything we need to invent a future that will provide for and sustain us, with wisdom known and available, but only when we have stood up and turned round, optimistically, to see. Once upon a time is now. “Ocean Connections and Innovations” was originally broadcast as a 5-minute audio episode on World Ocean Radio. It is part of the Earth Optimism Series, 24 posts profiling conservation actions and innovations to reduce our impacts on the planet. The Earth Optimism Series is brought to you by the World Ocean Observatory in partnership with the Smithsonian Institution’s Ocean Portal, to raise awareness of the Earth Optimism Summit during Earth Day weekend, April 21st through 23rd, 2017 in Washington DC and around the world. Read more solutions and success stories here and share your own ideas at earthoptimism.si.edu. Peter Neill is founder and director of the World Ocean Observatory and is author of THE ONCE AND FUTURE OCEAN: Notes Toward a New Hydraulic Society available wherever books are sold.